If you add training into your fat loss regime but you don’t maintain your nutritional discipline and keep your food intake the same, you remain in energy balance. If a study doesn’t monitor this type of compensation, or if the researchers trust the subjects to accurately self-report their own food intake (hahahahahahahaha! ), it will look like the exercise was for nothing. NEAT is a great way to improve your total fat loss results, but it can also undermine your efforts if you don’t consider the toll it takes on your daily energy expenditure. 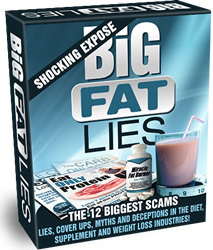 The best thing you can do is follow a fat loss system like my Burn The Fat, Feed The Muscle Program that takes account of the big picture, including NEAT.